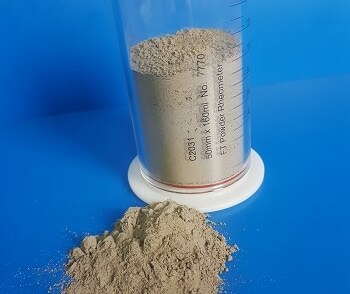 Powder characterization specialists, Freeman Technology, will be exhibiting on booth #S4673. The company offers material characterization solutions aimed at optimizing process performance, increasing productivity and improving quality in a diverse range of sectors, including the food industry. Freeman Technology’s instrumentation includes the flagship FT4 Powder Rheometer®, a unique and comprehensive powder tester, which uses patented dynamic methodology, automated shear cells (in accordance with ASTM D7891) and a series of bulk property tests to quantify powder behavior in terms of flow and processability. This is complemented by the Uniaxial Powder Tester, which provides accurate and robust measurement of the uniaxial unconfined yield strength (uUYS) of a powder to assess and rank flowability. In addition, the company also now offers in-line, real-time flow measurement capabilities via an exclusive partnership with Lenterra Inc. The Drag Force Flow sensor, an optical technology, aids process understanding and manufacturing efficiency. With two decades of experience in powder flow and powder characterization, expert teams will be on hand throughout the event to discuss powder handling challenges.